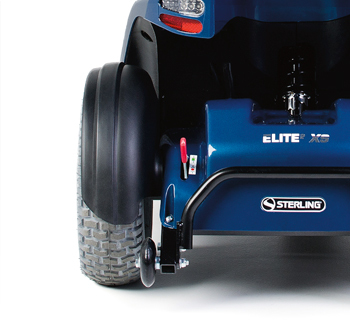 The Sterling Elite2 XS mobility scooter is the successor to the outstanding Elite XS. Reliability and safety are in the genes of the new Sterling Elite2 XS. With the intuitive ergonomic wig-wag control, the Sterling Elite2 XS is the new standard of mobility scooter drive controls. Information of your journey – trip distance, total distance and speed reading is easily displayed on the backlit LCD control unit. 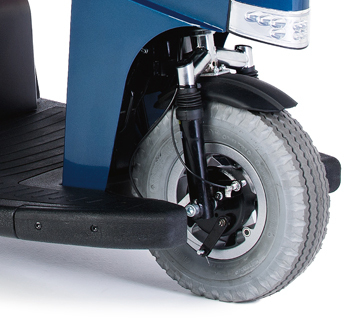 The Elite2 XS is designed for comfort with the unique adjustable rear suspension. This combined with an adjustable seat, gas strut adjustable tiller and delta handle bar, means a comfortable riding position can be always be found. The Elite² XS mobility scooter is the ideal the ideal companion for a safe and comfortable ride. 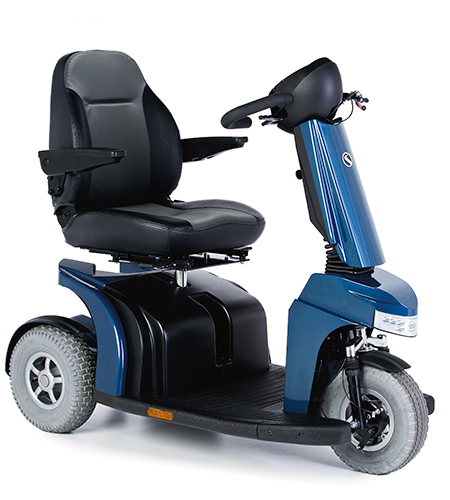 Large 13″ front wheels and suspension for both front and rear wheels, provides a comfortable ride over all terrains. Long distances can be comfortably travelled due to the large batteries packed with 60Ah of power and a top speed of up to 8mph. The Elite² XS mobility scooter has ergonomically designed handles and the intuitive ergonomic finger and thumb operated wig-wag control. 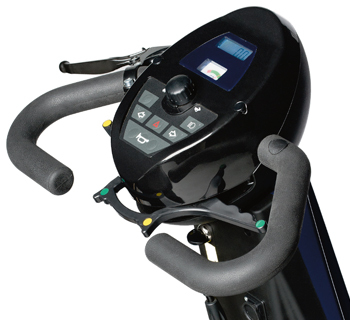 The handlebar is angle adjustable in to ensure comfort and good posture while driving. The Elite² XS mobility scooter is designed for you to enjoy your trip in comfort. 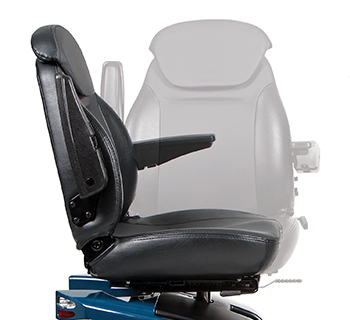 The 360° rotating seat is adjustable both in height and depth. The comfortable armrest can be flipped back to facilitate transfers and can be also easily angle adjusted for optimum positioning. To ensure the visibility on the road, the Elite² XS mobility scooter incorporates front, rear, indicators and brake LED lights. It also features mudguards, hand brake, anti-tip wheels and rear bumper as standard. All in a sturdy structure, approved for users up to 175kg and crash test approved.